You wonder how desperate some people are sometimes, they all give excuses that when nature calls there is no time to think but at times it becomes too much. 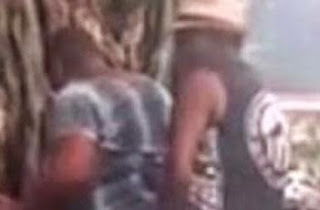 A guy was videod in the act by the roadside in this undated clip believed to be somewhere in Naija or Kenya. It only lasted for a couple of minutes probably because it was a "stolen" thing and no one wanted to get caught.